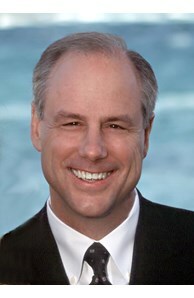 From Bahía de Banderas (Puerto Vallarta) to San Juan Capistrano, Architect Edward Paul Giddings left an indelible imprint as exhibited with this extraordinary gated resort-style compound prominently sited on 2.5 acres showcasing stunning 360-degree panoramic views while providing sanctuary for family and guests. This rare offering is surrounded by lush gardens, serene water features, exotic woods, imported marble & polished limestone. The main residence features 6 bedrooms 8 bathrooms while utilizing an imaginative use of glass, wood & stone that unite the interior & exterior which are connected with an indoor & outdoor swimming pool that can be viewed in the 3 story atrium from every level. The amenities within this estate are vast; the expansive kitchen and entertaining area have 3 different cooking stations with a Teppanyaki grill, a large wok, Traulsen refrigerator, Salamander, Gaggenau grills multiple ovens and an exquisite chef's catering kitchen that includes a walkthrough commercial refrigerator. Additional amenities include the private master suite with sitting room, multiple guest suites with private entrances, his/her offices with library, gym, private gated entry with circular driveway leading to a 6 car garage, spectacular outdoor entertaining areas, built-in BBQ, sauna, outdoor fireplace & 3 story elevator. The 3 bedroom 2 bath Guest House is finished with designer touches throughout while providing easy access to the barn of this equestrian zoned estate. 30552 Hilltop Way, San Juan Capistrano, CA 92675 (MLS# PW18221680) is a Single Family property with 9 bedrooms, 9 full bathrooms and 1 partial bathroom. 30552 Hilltop Way is currently listed for $5,488,000 and was received on September 19, 2018. This property is listed by Victor Vasu from our Newport Beach Office.Want to learn more about 30552 Hilltop Way? Do you have questions about finding other Single Family real estate for sale in San Juan Capistrano? You can browse all San Juan Capistrano real estate or contact a Coldwell Banker agent to request more information.